This is an update to my last blog. I’ve been working with an amazing cohort of women on The Prom Dress Project, collecting gently used homecoming and prom gowns to benefit young ladies who may not have their “princess” moment because money is tight. Well since my last post, my life has gone viral. I thought this little prom dress sale hosted by my alumni association would be a good idea, a little way that we can give back. In just over a week… yes, about that, we have collected in excess of 130 dresses and the number is still growing. They’re coming from everywhere, and they’re coming from everyone. I’ve received gowns from fellow alum, I’ve received gowns from people I know from mentoring cohorts, I’ve received gowns that my local Starbucks barista is collecting, AND I’ve received gowns from a perfect stranger who was just listening to my conversation at Novo (one of my regular coffee haunts). Viral. This event already, without having a single dress sold has surpassed anything I could have ever dreamed. I’ve reached out to the partner schools in our district, to schools that are in our mentoring collaborative. Honestly, there isn’t a reason that a young woman in need can’t have her moment with prom. In this process I’ve learned of a young woman in the foster care system… a princess moment may not happen without this event making us aware of her need. I wonder what would happen… if the world went viral with this kind of kindness. Can you just wrap your head around what that would look like? I dunno. I’ve been kind of a hot mess just trying to get MY head around the kindness I’ve experienced. The hair dos that have been donated, the shoes, the handbags, the accessories… the dresses! So our sale is next Thursday evening, at Aurora Central High School. I don’t know what to expect. I know the opportunity is HUGE. 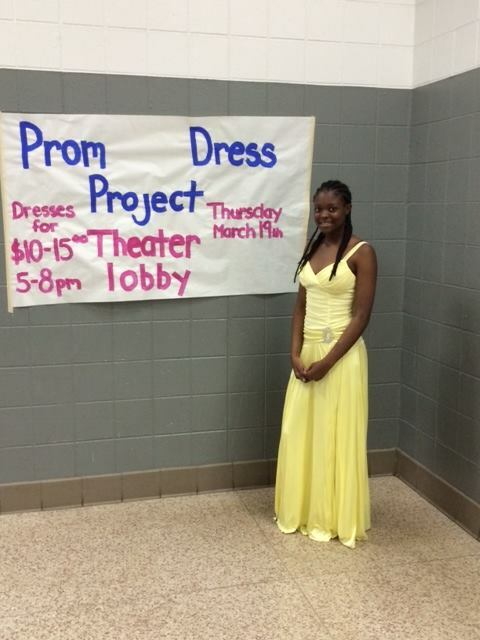 And by the way…I’m not a doctor, but I’d say this “virus” The Prom Dress Project, is CONTAGIOUS! This entry was posted in Life and tagged Adoption, Aurora Central High School, Believe, Prom, Viral. Bookmark the permalink. Thanks Jeri… I’d like to think that I’m simply a conduit for others greatness.